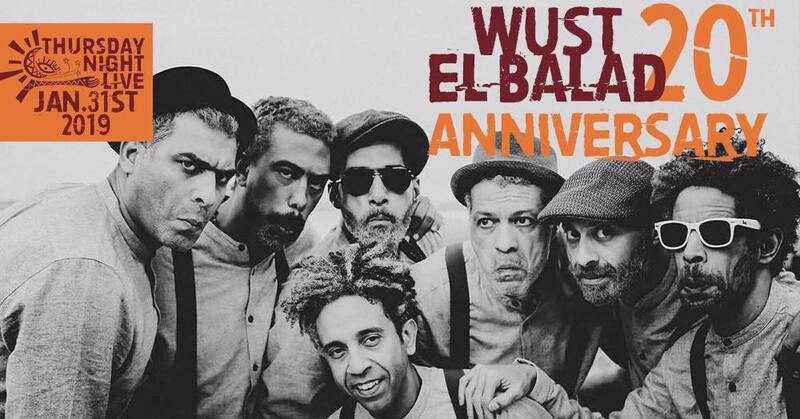 Tribute to Twenty Years of Egypt's Leading Independent Band, Wust El Balad! Tribute to Twenty Years of Egypt’s Leading Independent Band, Wust El Balad! Today is a very important day for the independent music scene in Egypt, as one of the most iconic Egyptian bands just turned twenty years old! Yes, you read that right, Wust El Balad has been around for two decades now, entertaining us with their awesome music and memorable concerts! The band celebrates its twentieth anniversary at one of the most special venues to their hearts, Cairo Jazz Club. In the span of twenty years, Wust El Balad released four awesome albums. The first was a self-titled album that was released in 2007, then Rubabekya in 2011, followed by Karakib in 2014, and finally, Bantalony El Jeans in 2018. The band opened the door for a new generation of musicians to pursue their dreams of success, as they saw a live role model that made it big independently! The band’s Lead Singer, Hany Adel didn’t only make it in music, but he’s also killing it as an actor; with his latest movie, “Immobilia Crime Story” set to be released this year! Last year, they released a music video for their song, El Ekhtelaf El Motalef that featured the iconic Actor Asser Yassin, that also happens to be directed by him! The music video was unusual and sparked discussions and debates on social media, questioning what’s happening in the video. Our very own Nadine Arab gave her two cents on the interesting and controversial music video, and you can check it out here. Wust El Balad’s lead singer is also a part of Egypt’s most popular and successful musical trio, HOH. Alongside the best guitarist in the region, Ousso Lotfy, and Massar Egbari’s Lead Singer, Hany El Dakak. The trio recently made all their fans proud when they traveled to Canada to perform in three uber successful concerts! For the first time, all the way from Egypt, HOH is coming to Ottawa next Saturday! Three of Egypt’s most acclaimed musicians formed HOH! Hany Adel, also known as the leader of the group Wust el Balad and a famous actor, Ousso Lotfy, regarded as one of Egypt’s greatest guitarists, and Hany El Dakkak, the singer of the leading alternative group Massar Egbari! DATE: November 10th, 2018 TIME: Doors open: 7pm, Show starts: 7:30 pm FOR TICKETS: Contact our page or see the event page in our bio! There are several reasons why Wust El Balad is the pride of the entire independent music scene. Not only for the awesome fusion of Arabic music with a western twist, nor for the number of songs, gigs, or awards they have, but for the legacy they created and the doors they opened for those who came after! WE SAID THIS: What’s your all-time favorite Wust El Balad song? Let us know in the comments’ section.